Hard floor care requires specialist care. This client approached us with this dilemma. They had employed a cleaner to mop this floor daily but after 2 years they realised they where wasting there money. Terrazo floors require careful cleaning. 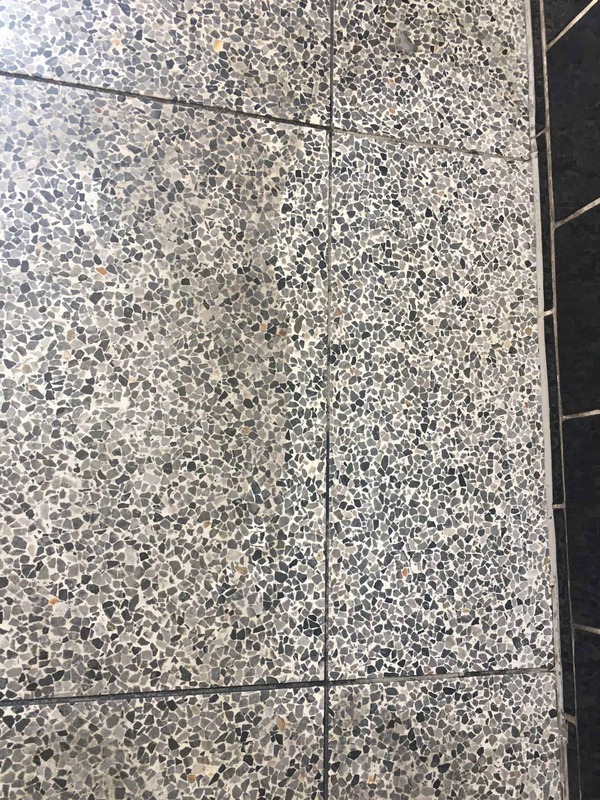 Specific floor detergents are required for Terrazzo floors with correct dilution rates. 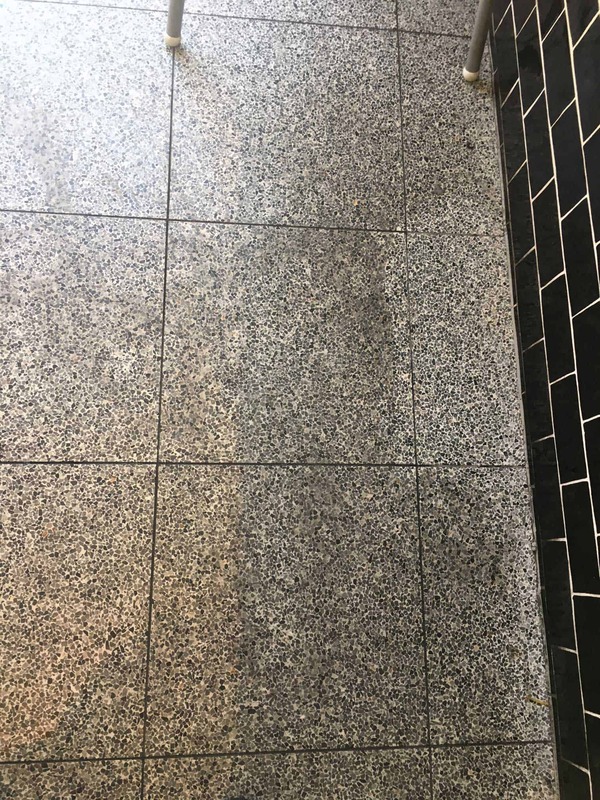 This Terrazzo floor required deep penetration with auto scrubbers , but this could have been avoided with good practices. Mops need to be colour coded to avoid cross contamination. High traffic hard floors often require a heavy mop followed by a neutralised rinse .